The headline is my new band. Spread the word. Anyway, good game, would watch again. 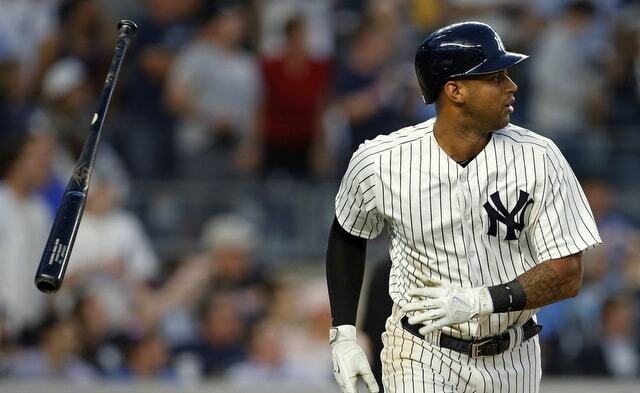 The Yankees handled the Mariners — the 102-win pace Mariners — with relative ease Tuesday night. The final score was 7-2. The Yankees are 26 games over .500 four weeks before the All-Star Game. 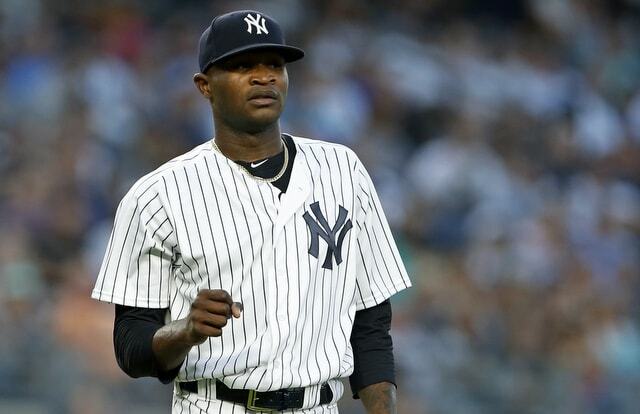 Maybe Domingo German needs an opener? For the third straight start and the fourth time in his eight starts, German allowed a first inning run(s) Tuesday night. It was just one run and it didn’t come on a homer — those have been an issue at times — so I guess that’s good? As a starter, German now has a 7.88 ERA in the first inning and an 4.50 ERA thereafter. That’s … better? Even though the run was earned, you can blame the defense for the first inning. German did allowed a two-strike leadoff hustle double to Dee Gordon, so that’s bad, but the big mistake was Didi Gregorius booting Jean Segura’s grounder. Gordon broke for third and Didi had him dead to rights. Too bad he booted the ball. No out recorded. Sigh. 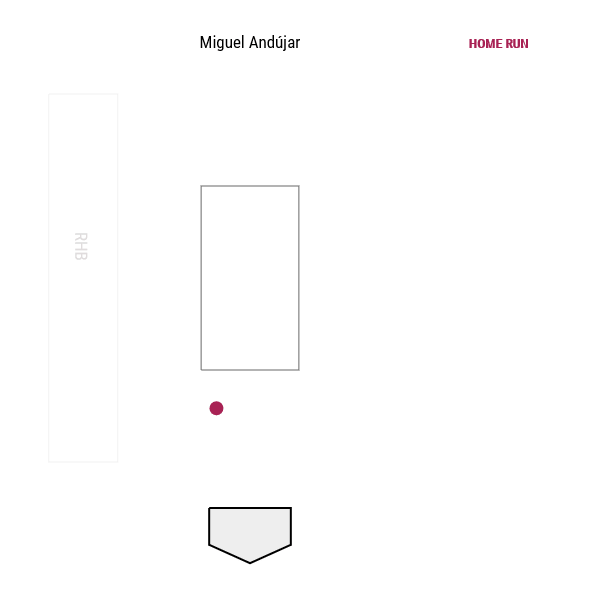 Miguel Andujar couldn’t handle Mitch Haniger’s line drive next — hit him in a bad spot, right in the glove — and Gordon scored. SIGH. Fortunately, German settled down after that, and settling down is something we’ve seen the kid do quite a bit lately. And holy crap, he REALLY settled down. After the Haniger’s liner clanked off Andujar’s glove in the first inning, German retired the next 18 (!) batters he faced. I’m think that ties Sonny Gray for the longest single-game consecutive batters retired streak by a Yankee this season. Gray went 18 up, 18 down to start that game in Kansas City a few weeks ago. German threw Haniger a nasty 3-2 changeup to start the seventh inning and Haniger was about a mile out in front. Awesome to see the kid have the confidence to throw a 3-2 changeup to the other team’s best hitter leading off an inning. With a four-run lead, that’s usually a “I’m not walking you so here’s a 3-2 fastball” spot. German’s up to 28 strikeouts in his last three starts and 19 innings. Only two walks too. Kid’s a keeper. The stuff is sooo good. The shoddy defense put the Yankees in an early 1-0 hole. They answered right back. Giancarlo Stanton golfed a low Marco Gonzales curveball into Monument Park for a quick game-tying solo home run in the bottom of the first. Leadoff singles were wasted in the second and third innings, annoyingly. The fifth inning is when the offense really broke out. Yeah. That’s bonkers. Working the count — that’s a pitch a batter should take, you know? — is wonderful and important, but part of me loves having a hacker and a bad ball hitter like Andujar in the lineup. Seems like that dude can make contact with anything anywhere and drive it with authority. Nice like change of pace from the rest of the lineup, which is loaded with count workers. That’s four homers in the last six days for Hicks, who also had a single and a double Tuesday. Hard to believe so many people don’t like this guy. After missing out on some opportunities in the early innings, the offense made up for it in the fifth. Three singles (Andujar, Frazier, Judge) drove in an insurance run in the seventh to make it 6-2. 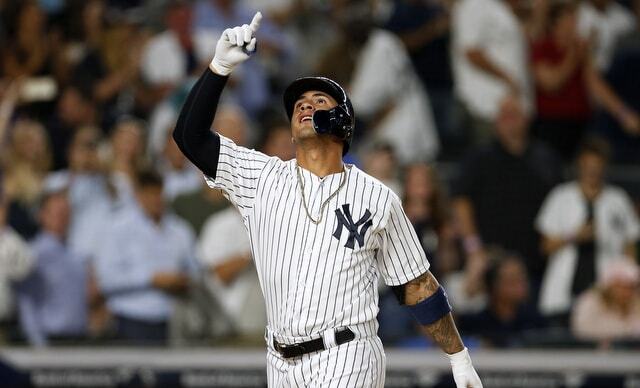 Then Gleyber Torres socked a solo homer (off former Yankee Nick Rumbelow) into the left field bleachers for another insurance run in the eighth. Hooray dingers! Is the offense finally starting to snap out of it? I hope so. Tuesday was the first time the Yankees scored at least six runs in a game since the first game of the doubleheader in Detroit on June 4th. It was also the first time they had double-digit hits since the June 2nd finale of the rain shortened series in Baltimore. They played 14 times between 10+ hit games and went 10-4, so not the end of the world. Poor Gary Sanchez. The dude is mired in a long slump and he hit a 121.1 mph — 121.1 mph! — line drive right at Denard Span for an out in the fourth inning. Hardest hit ball in baseball this season by more than a full mile-an-hour. Also tied with Aaron Judge’s 495-foot homer last season for the hardest hit non-grounder since Statcast became a thing in 2015. Tough out. Keep hitting them like that Gary and good things will happen. Welcome back, A.J. Cole. He actually pitched. First appearance since May 28th. May 28th! Six up, six down, three strikeouts to close out the game following German. Cole threw 13 sliders, the Mariners swung at six of them, and they missed four times. Pretty awesome. Based on raw stuff, he’s the best mopup man the Yankees have had in a very long time. And finally, congrats to Sir Didi Gregorius. This was his 700th career big league game. That’s a nice round number milestone, but, more importantly, he is now the all-time leader in games played among players born in the Netherlands. He broke a tie with Hall of Famer Bert Blyleven tonight. Neat. The Yankees and Mariners will continue this three-game series with the middle game Wednesday night. Jonathan Loaisiga will make his second career start in that one. Felix Hernandez will be on the mound for Seattle. Once upon a time that meant an auto-loss for the Yankees.